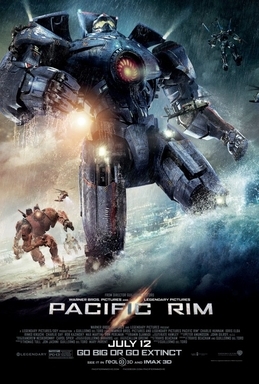 “Pacific Rim” is a science fiction and action film, too long and too boring. This time, the aliens from outer space (or rather from another dimension of reality altogether) decide to attack humanity through the oceans by sending in “Kaiju”, a kind of cybernetic-bionic organisms which look like a cross between xenomorphs and Cthulhu. The whole thing ends, appropriately enough, with a huge nuclear explosion, and we can all go to sleep in the knowledge that the creators of the Kaiju have been disposed of the hard way. That is, until the planned sequel appears later this year!